Epsom salt, or magnesium sulfate, is a natural way to boost health in so many different ways. An Epsom Salt bath will exfoliate the skin, detoxify the body, stimulate muscle and nerve function, and much more. Magnesium regulates more than 300 enzymes in the body, so it is essential for our body to be able to function properly. 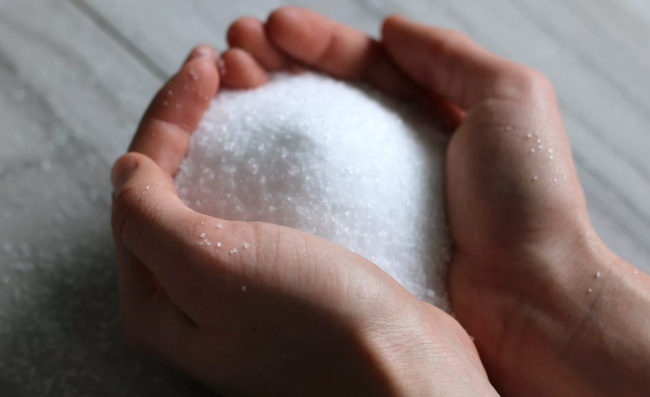 Our skin easily absorbs magnesium and sulfate while we soak in an Epsom salt bath, and this eliminates toxins and excess fluids from the body. Moreover, as stress depletes the body of magnesium, such a bath will replenish the body with it and will fight anxiety and relax the body. The sulfates eliminate heavy metals and toxins from the system, and the Epsom salt soothes pain and fights inflammation in the body, so it is excellent in the treatment of headaches, asthma, and sore muscles. All you need to do is to add some Epsom salt to your bath or foot soak and treat all these issues. Add two cups of the salt to a standard-size bathtub filled with warm water to relax, rejuvenate the body, energize it, and soften the skin. Enjoy!